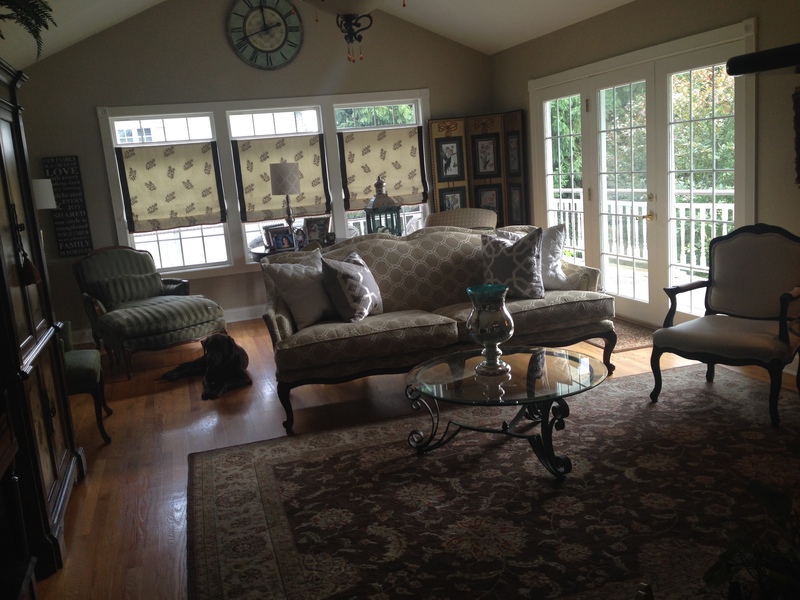 Roman Shades | Adventures In Styleland! Organic color pallets – Muted, blues and greys still shining, with more organic and natural influences this years pallet will have deep greens, deeper greys and steel blues. There Back…..Deeper Jewel Tones! 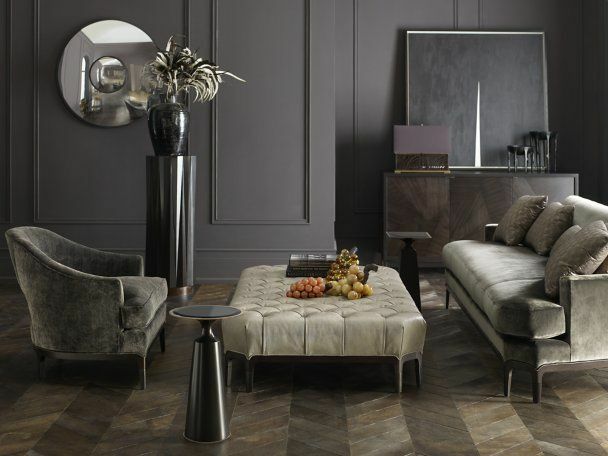 Deep colors are the best way to kick up a traditional space. Cork – As a designer I am very attracted to natural texture. Cork does double duty. It creates warmth in rooms while adding texture. To add another excellent element to this already shinning star, cork absorbs noise in our increasingly open and larger homes. In a home office or luxurious bedroom this trend is often a overlooked design element. Cork brings a unique story to any part of your home. 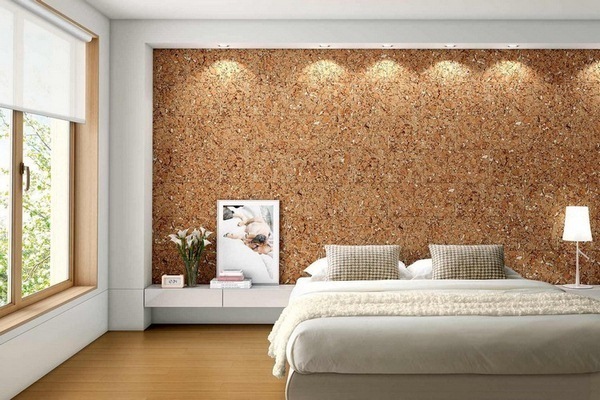 The natural but soft texture of cork complements every style. 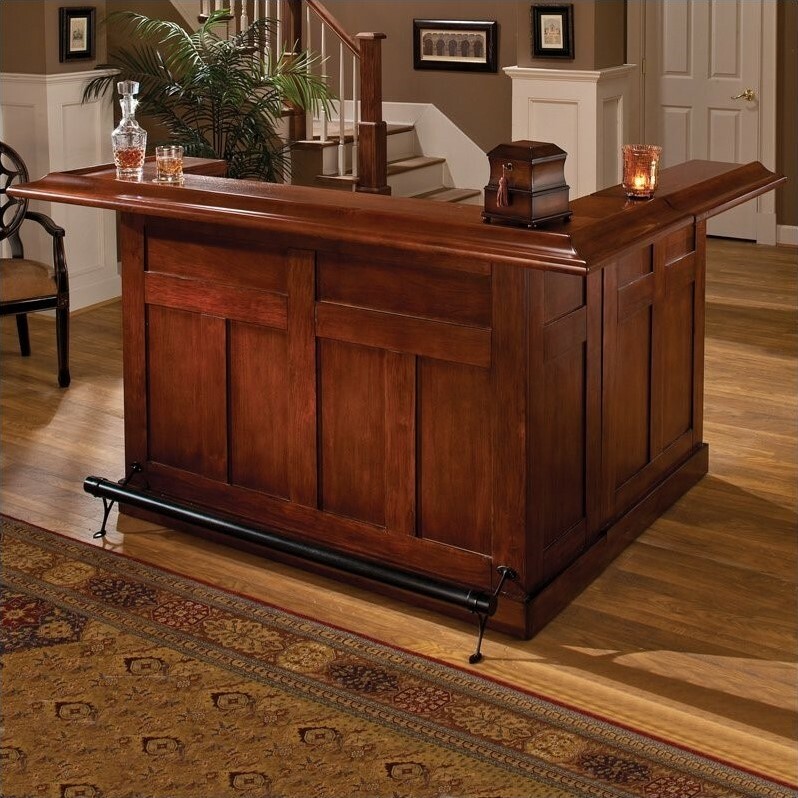 Home Bars – This latest home trend raises the bar on what was once considered only for the uber wealthy. Home bars are now becoming the norm. At the end of a tough day at work, coming home and popping open a beer or decanting a glass of wine is a great way to unwind, but there’s just something special about making a cocktail at the bar. Vintage goes Modern – In design, what goes around comes around. 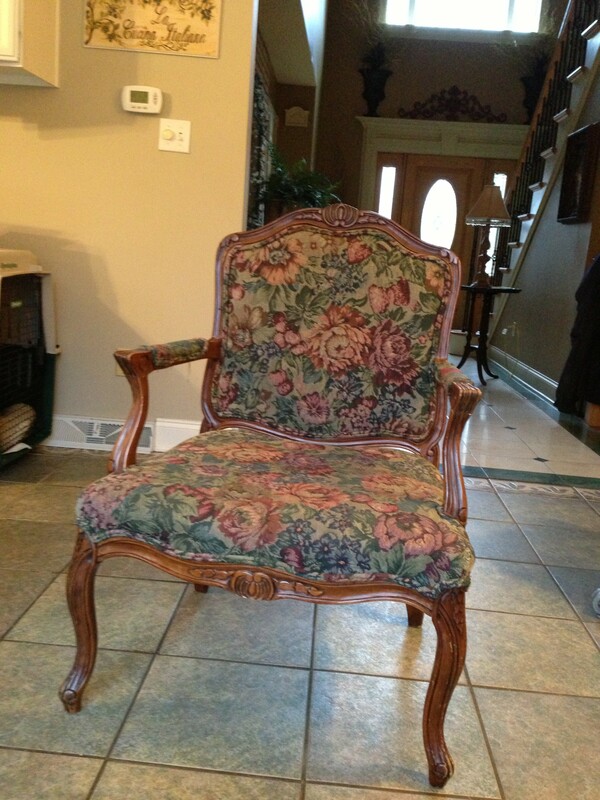 … start heading on over to your local vintage furniture store now to grab some great finds. Burled wood of the art deco period, classic campaign furniture and other vintage looks were front and center at High Point again this fall. Historic pieces and mid century modern are still going strong. Upholstered headboards – Expect more of this glamorous look, with luxurious fabrics and tufted bed heads. This trend is very versatile, and fits into any room. Nail head’s to tufted buttons, upholstered headboards are an instant way to update your boudoir. Tailored lovely and very desirable! Terracotta – The color is already prominent in fashion trend this fall, but this is not your mamas tile! 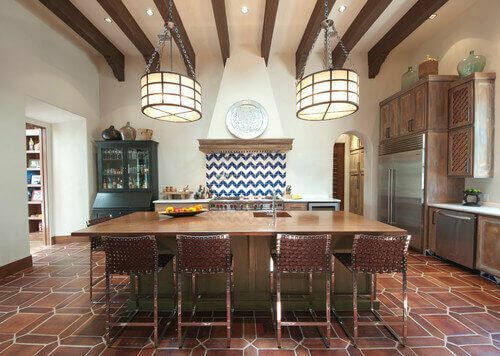 Tiles with a matte finish are used on feature walls and fireplaces. The tiles are bordered and in uniquely warmer hues with added texture. With only a few months left in 2016, trends in 2017 for your home are already arising! Forecasters and designers are rolling in with the newest and hottest trends for your luxury home. So if you’re thinking about or already renovating or building your own luxury home, these are some trends to look out for. Come visit me at the Home Expo for your renovation projects, let the pro’s help you, stop in and see me for some inspiration! in booth 328. We have a variety of experts on hand to talk to, so bring your ideas and let them help you complete your list. 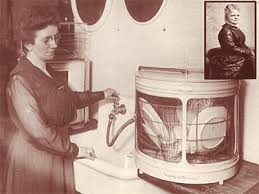 In 1886, Josephine Cochran invented the first dishwasher, effectively bringing peace to a country torn by Civil War. 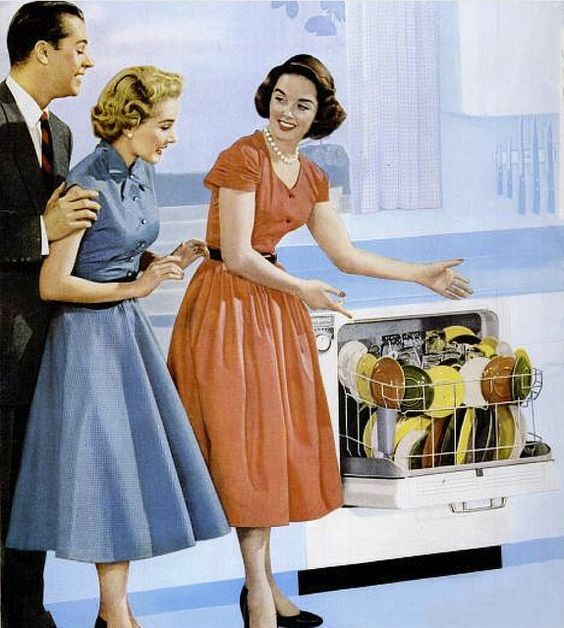 Unfortunately Josephine would never see how innovative her dishwasher was because it wasn’t until the 1950″s that dishwashers became a standard kitchen appliance to the delight of housewives everywhere. To achieve a cleaner outcome, start with how you pack the dishwasher. Dishes should face toward the middle of the unit, and bowls and cups should face down to make the most efficient use of the sprayer. Your glasses should go between the tines, not over, otherwise they could break. Pre-sort your silverware to make unloading that much easier. Lastly, scrape plates before loading, and don’t bother rinsing detergents are designed to attack stuck-on grime, and will make your glasses cloudy if there is no food to attack. 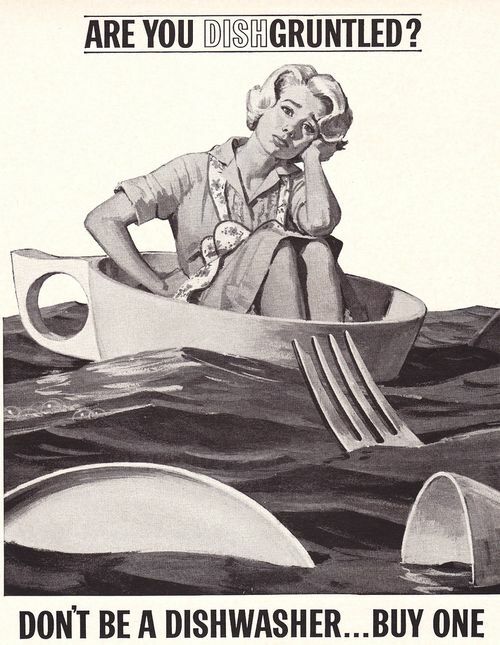 Dishwashers are designed to catch food, most models have their own food dispenser. Rinsing can waste both water and time. DO NOT over pack the dishwasher otherwise you might have to re-run the cycle! Blast Off To The Stars! Investing in an Energy Star certified dishwashers can save water, energy, and ease your utility bills. Energy Star dishwashers cap out at 5.8 gallons per cycle and only use half the electricity of the older models. As a comparison, running your faucet for one minute uses about 1 gallon of water along with the electricity to heat it. 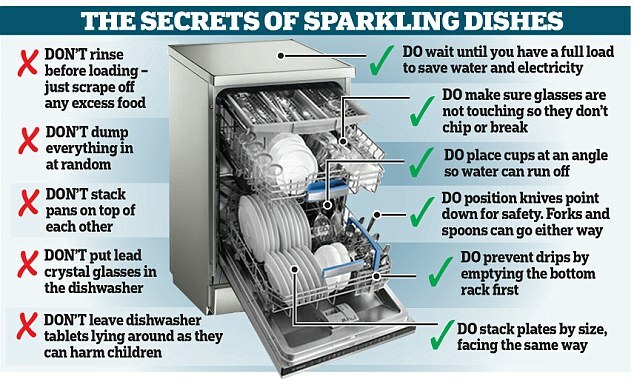 There are a few tips and tricks that can make your dishwasher habits even easier. For instance, use a magnet to mark whether the dishwasher’s contents are dirty or clean, so your minions know when its time to unload. 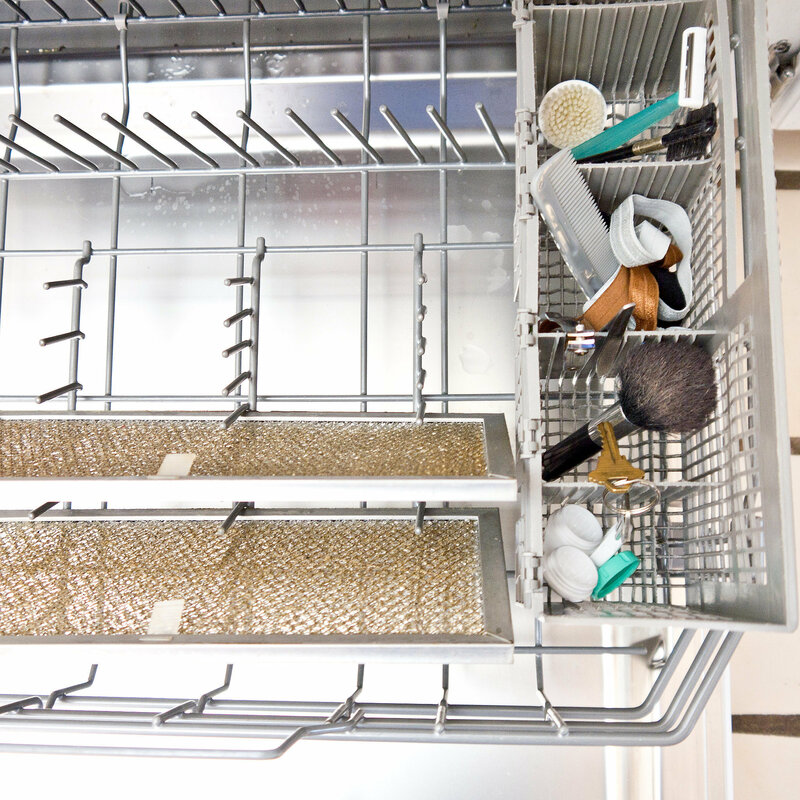 Unload the bottom rack first otherwise the water from the top rack could splash on your sparkly clean bottom dishes as you unload. Do you know all the items that you can clean in your dishwasher, click on this link for POP SUGAR to see 30 everyday things from your greasy range fan filter to contact cases. Keep your dishwasher fresh by tossing a cup of white vinegar into the bottom of the empty unit and run a normal cycle. Lastly, don’t forget to clean the dishwasher seals and trap every once in a while. With these tips and tricks, you can speed up the time you spend doing dishes, and save money in the process! 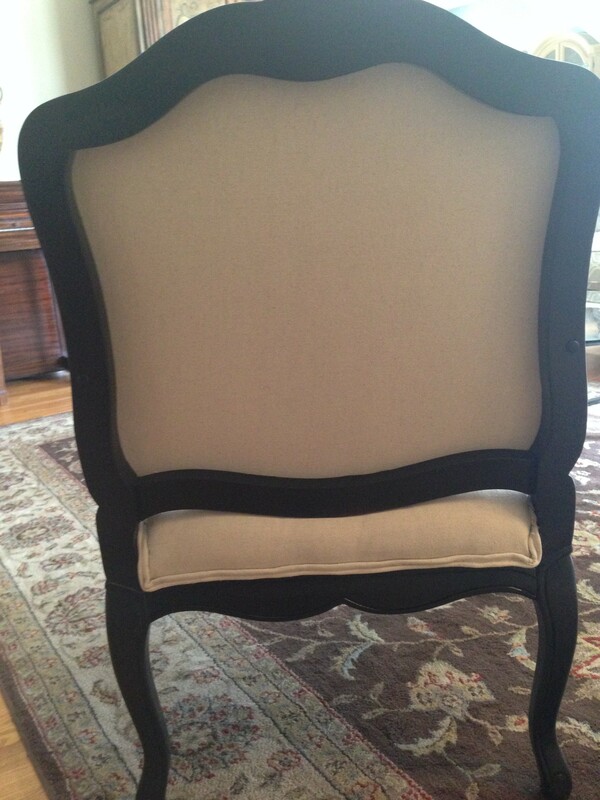 Stay Tuned for more Adventures in Styleland..
My Goal was to transform them into the Louis the XV Salon chairs that I found on Ballard Design. Two of these beauties for only $10 how could you beat that! 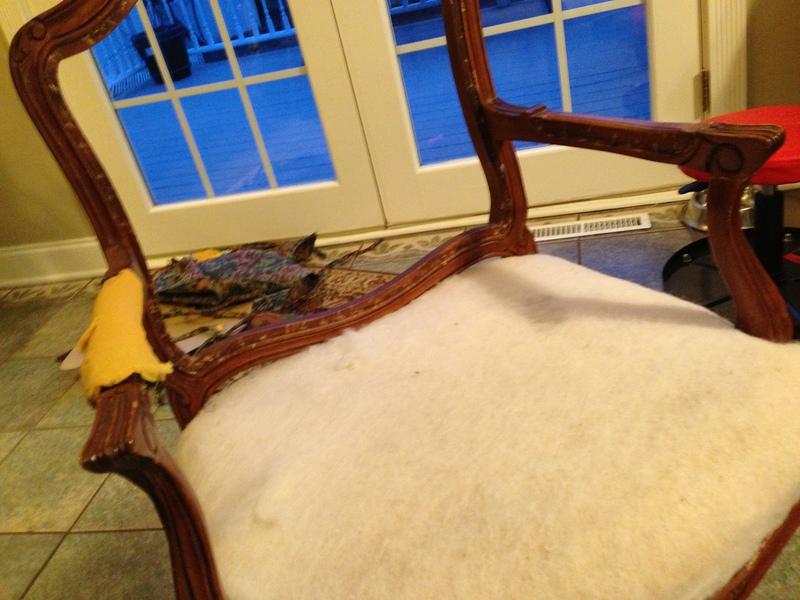 And so the project begins, here is a quick picture tutorial it took about a week to do both chairs. You can see the thousand staples used to attach the cording, this is only the beginning oy vey!! When asking Gabe to help with pulling the staples, he took pity on me, and I thought OK Green Light!!! When my husband agrees to a project in our home (and by that I mean agrees to open his heart and sometimes his wallet to help me ), I act quickly. Experience has taught me that green lights all too quickly turn yellow. Then, before you know it, there’s a big, fat red light staring at you through the windshield of your dreams. When that happens, you are left with two choices… delays or apologies. Trust me, it’s best to act while the light is green. Get Help when it’s offered!!! 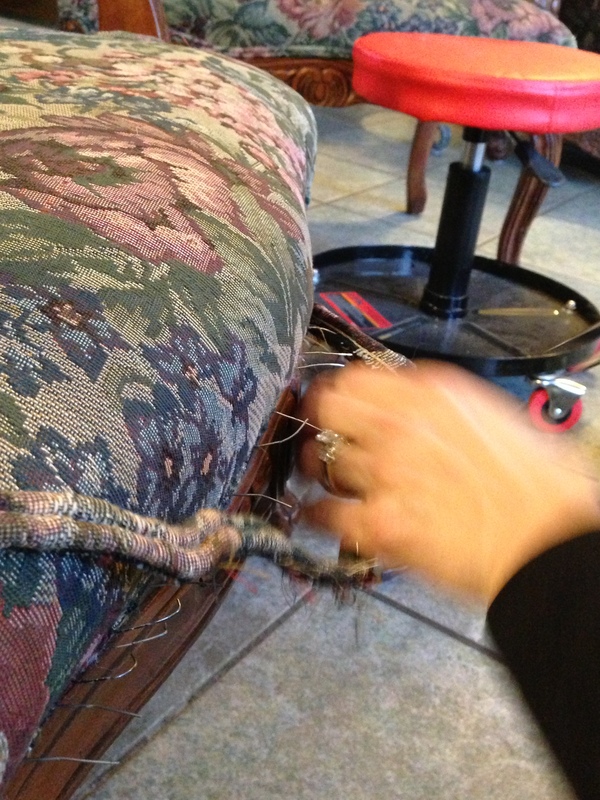 The fabric had just as many staples as the cording, I will admit that by this time my fingers were a tad sore. 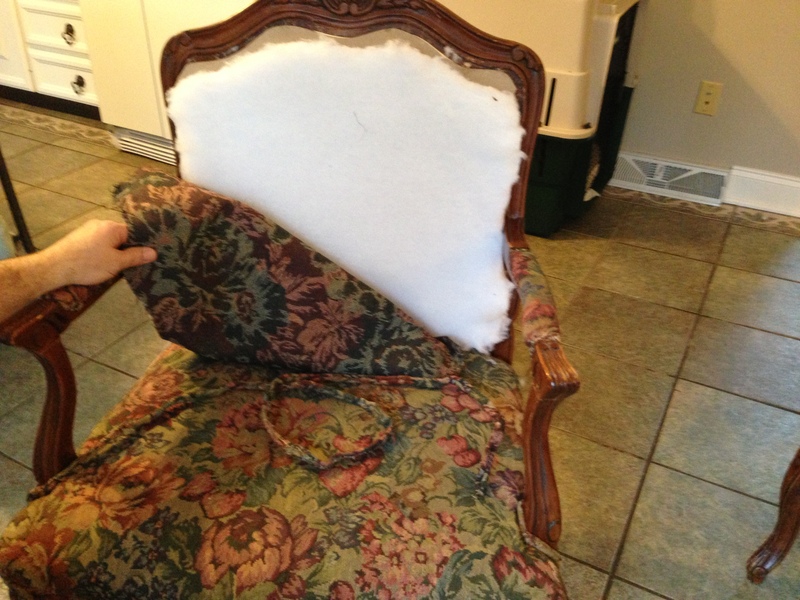 The fabric came off quickly with Gabe’s strong hands… and before you know it we were down to the frame working together.. Finally!!!! all the staples out and it was time for spray paint!! 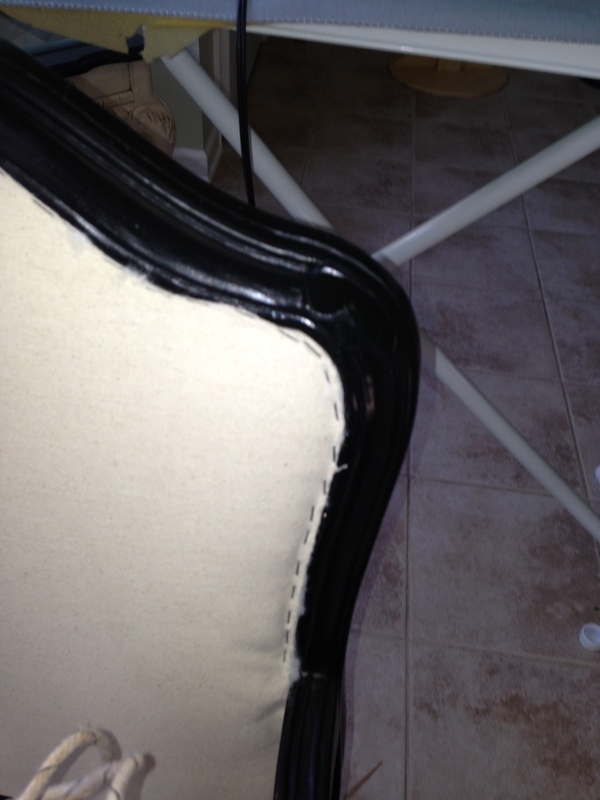 The spay paint that I used was Satin Black from Rust-Oleum. I spayed the frames with two coats and let them dry for a day before I began to start covering them, this also gave my hands a break, because at this point I was on my own, and was determined to finish these by the end of the week! 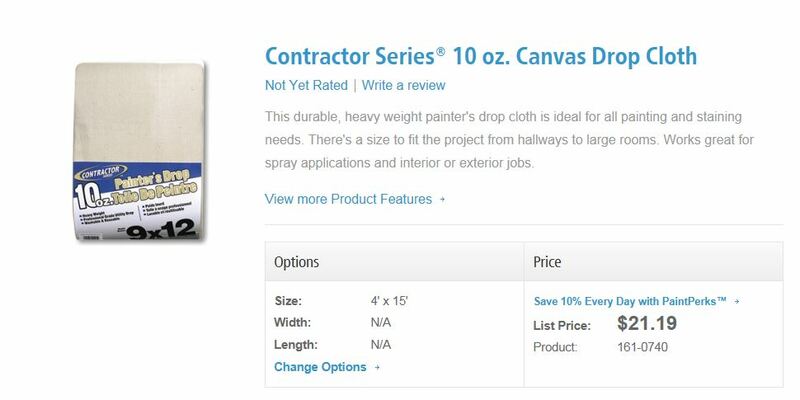 I washed and press the drop cloth first. 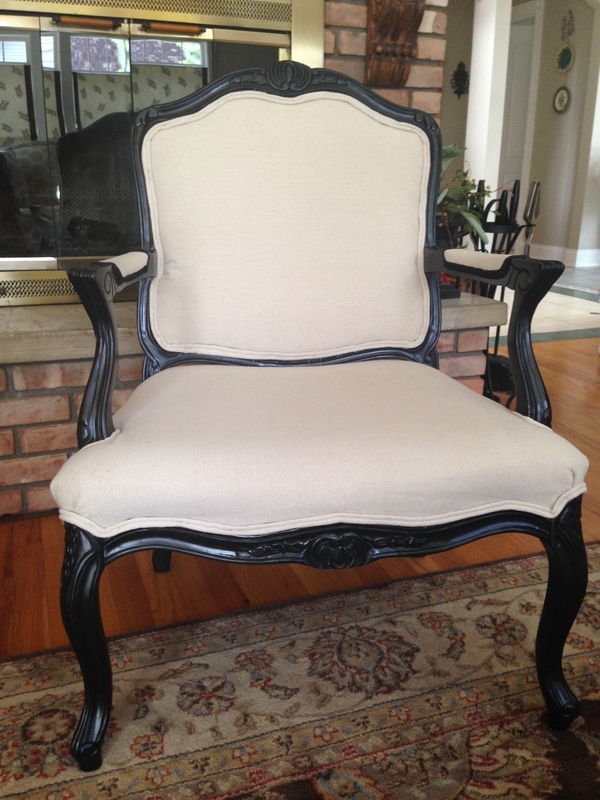 I used the old fabric we removed from the chair to create a pattern for the seat and back. Stapling the fabric was a little tricky, I needed to pull it tight and staple it as I went, this didn’t always go smoothly, I had to remove some staples a couple of times because the fabric would pucker, but after you get a rhythm going, it goes along quickly. 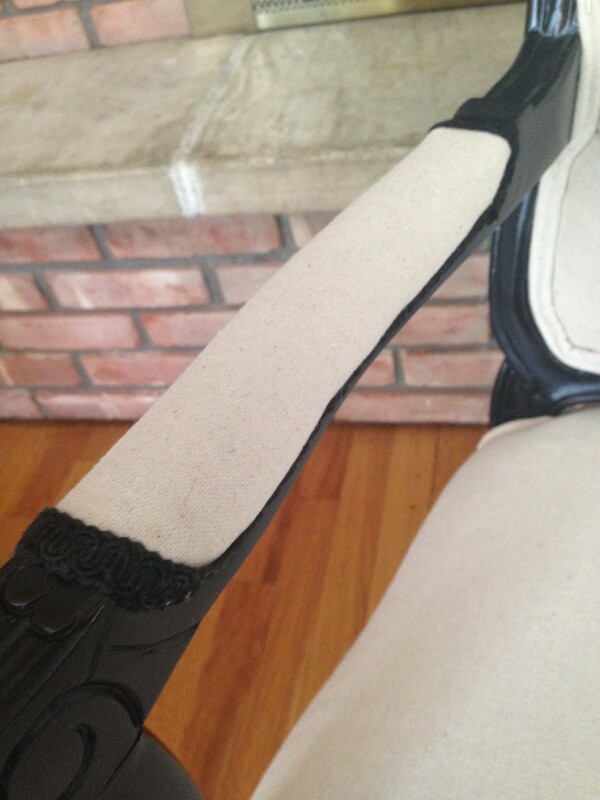 I did sew the fabric cording, and decided to use a black gimp on the arm pads. Here is the finished product (pictures are not professional). 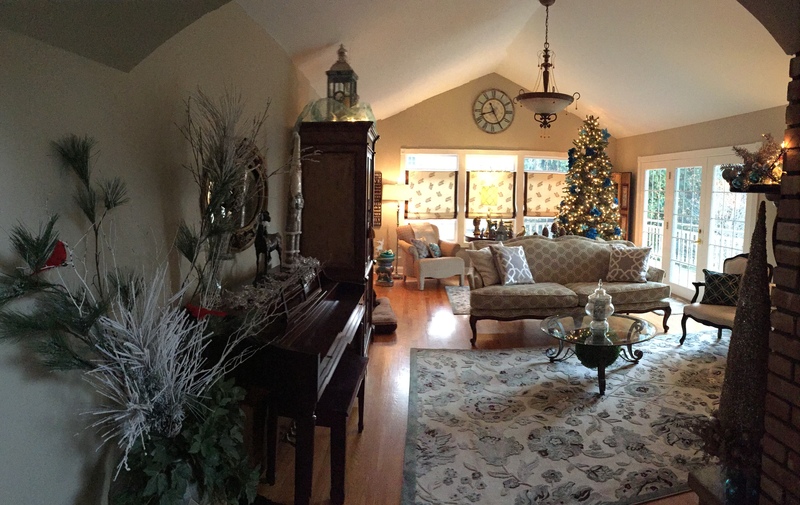 This was an easy project total cost was about $60! What do you think?? Here is a picture of the living room where the chairs reside now, complete with our Chocolate Lab Chino to compliment the brown in the room! Another project done!! Stayed tuned for move Adventures in Styleland! !